The science and technology have played an important role in transforming our homes, way back from the beginning of the 20th century; the first invention was the vacuum cleaner to help in the household environment! The advent of robots and the artificial intelligence in last few years truly bridged the gap of our lifestyle requirement and helped people to live a comfortable and entertaining life. Initially, a robot companion technology was used to serve humans as assistants; it could able to learn new skills and tasks in an active open-ended way and to grow in constant interaction and cooperation with humans. Along with humans, now pets are also getting the companion robots packed with an artificial intelligence to assist in a specific environment. The socially assistive robot, like pet companion robot, can help to make up for the traditional shortfall in needing care, allowing pets to maintain the quality of care in the home. It’s not always possible to be with your pet 24-hours a day, but if you need to leave your pet alone while at work or for extended periods during the day. 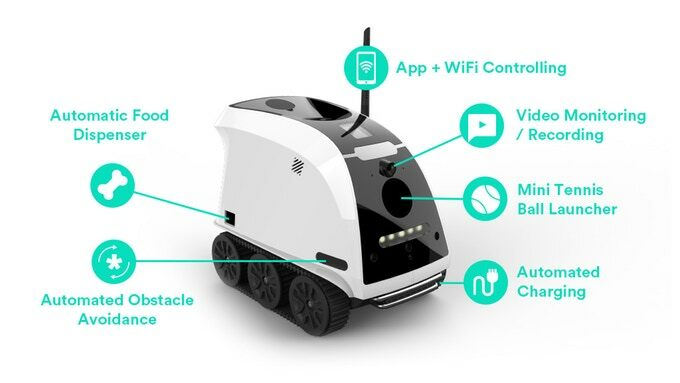 Now, the Los Angeles-based Anthouse Technology Ltd brings a new robotic pet companion called ‘Anthouse’, a smart app-controlled robot that wants to be your dog’s companion! Wondering what your dog might be up to at home? Use the Anthouse camera to see live-stream video from your Anthouse robot to see and interact with your lovely pet. 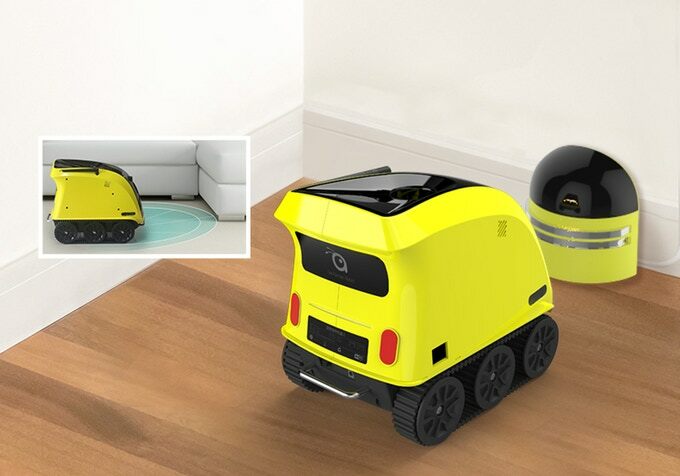 The robot is compatible with iOS and Android devices; you can control its speed and even talk to your pet from a wireless range of over 100 meters. 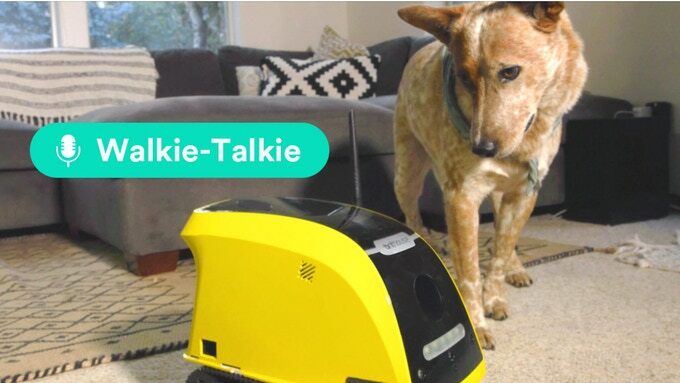 Using the smart app, you can press on the Walkie-Talkie button to speak and project out your voice to your pet via the built-in speaker on the robot. 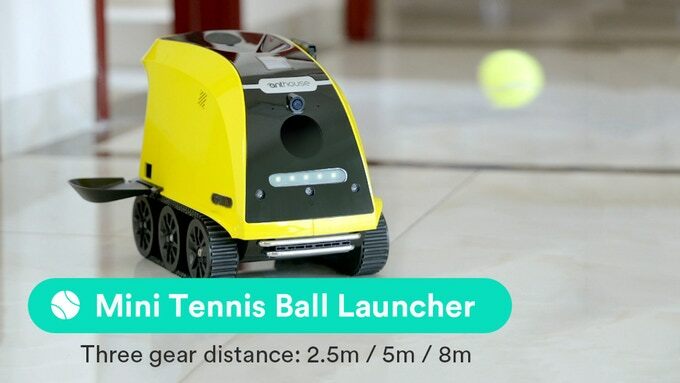 The features include a camera, Wi-Fi, wireless automated charging, an obstacle avoidance system, along with a ball launcher, and treat dispenser. You can control the Anthouse robot speed by selecting the desired speed range from slow to a fast mode which can be controlled through you smart app. The inbuilt treat dispenser enables you to serve your pet treats remotely via a one-touch automated button. You can choose a number and amount of servings you wish to dispense, from a small, medium, to large size servings. 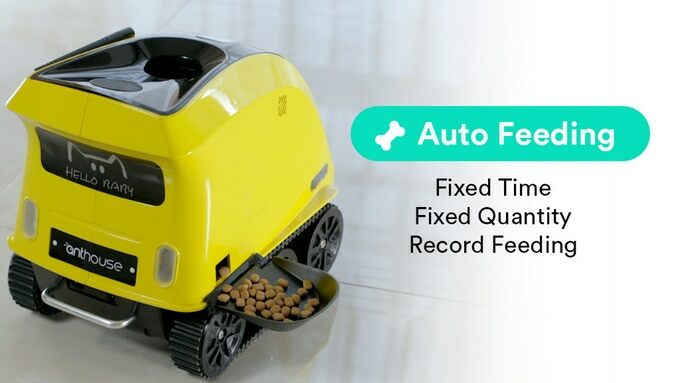 With all these features, we think this pet companion robot will surely help you to improve the lifestyle of your favorite pets!